New to juicing? 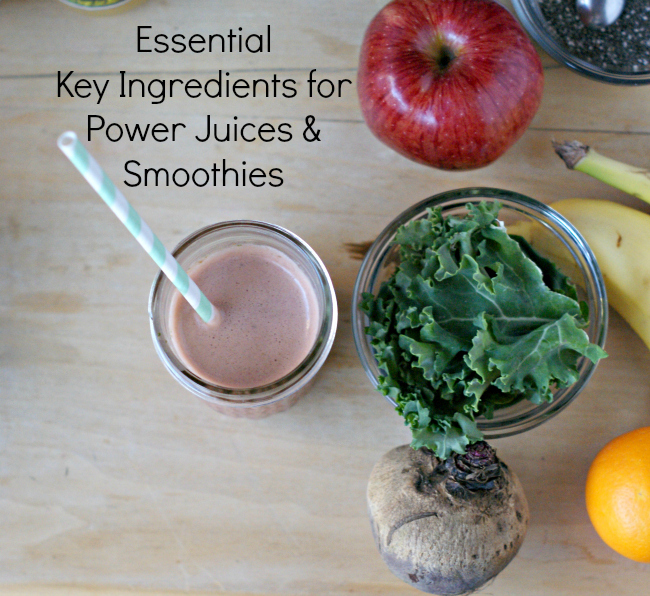 Check out my favorite things to juice along with tips as a newbie and some of my favorite juicing combos. I just got a juicer for Christmas and who knew how much I would LOVE it! I’ve juiced everything I possibly can from apples to carrots. One of my goals this year (as with every year) is to eat healthier this year and make more meals at home. I’m not great at eating vegetables and fruit daily like I should so when I received this juicer, I was pretty excited. Juicing is a great way to get all of your fruits and veggies for the day into one delicious drink! I was intimated by the juicer I received because of it’s size but I got on Youtube and watched some videos on using and found it is super easy and quick to juice your produce! The juicer I use: I have the Breville Juice Fountain (find it on Amazon here: http://amzn.to/1xFlHHK). I really love it and it has a lot of power! It is a little pricier than your lower power juicers but if you are going to invest in one, this is well worth the investment. You can put things in whole like apples and kiwis and it juices everything quickly (I love not peeling things). Pretty much all fruits and vegetables are juiceable! You can see everything I have juiced so far in this printable. 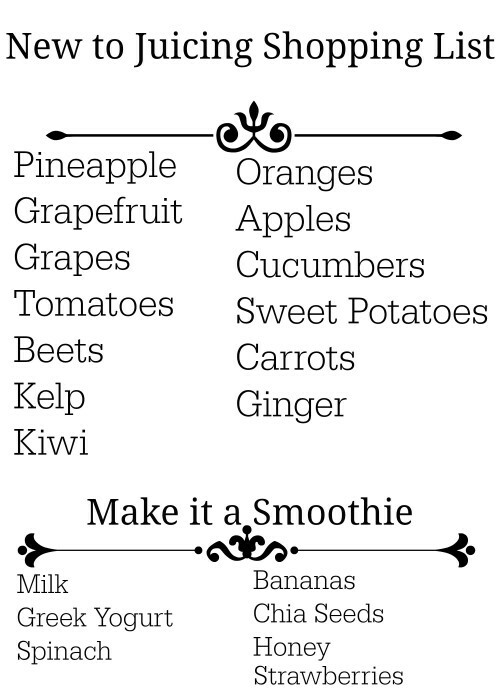 Print it out and take it to the farmer’s market or store next time you shop so you can stock up on some juicing favorites! My favorite bases that provide the most juice are apples, pineapples, pears, cucumbers and carrots. Everything else is a great addition. Grapes also provide a good juicy base but of course you’ll need many of them. What I have not been fond of juicing is kale and banana. They say you can juice bananas but honestly, they are just pulp. Save the bananas for the blender. 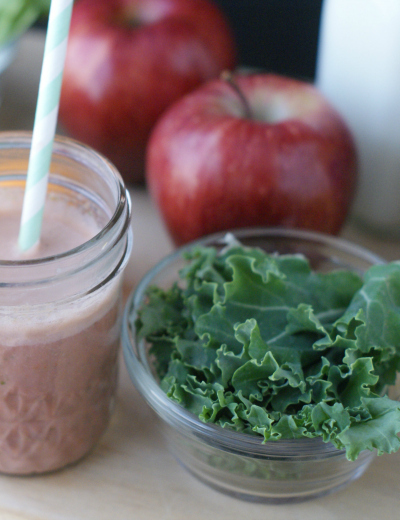 Kale is also tricky because while there is juice in it, it does not provide a lot of juice. However, if your family is like mine and prefers not to have leafy things in their smoothies juicing kale is your best option. 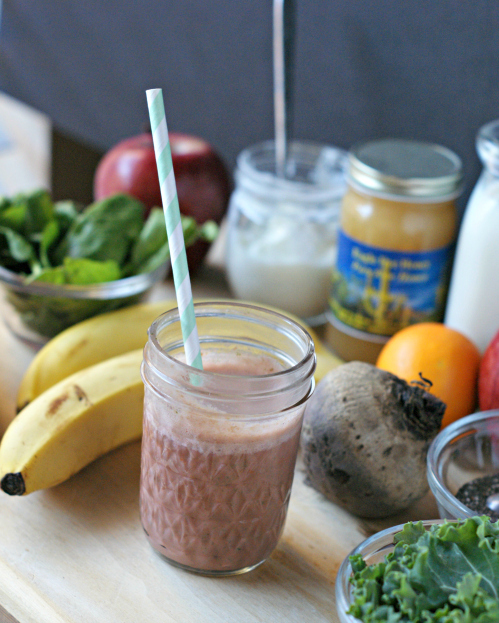 If you are okay with the leafyness in your smoothies, save it for the blenders. If you juice them, just pick up an extra batch because you may go through it quickly. 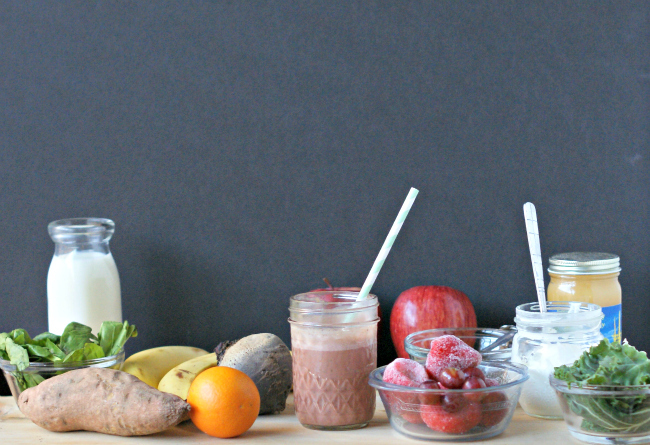 My favorite juice combos have carrots, apple and ginger! Directions: Juice the fruits and vegetables. 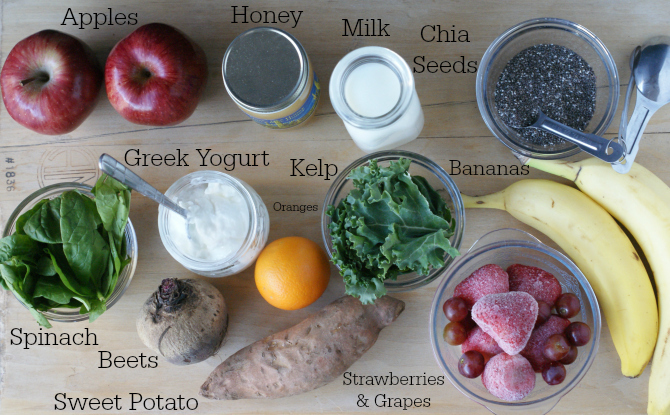 Add the juice to a blender along with the smoothie ingredients. Blend well for about 1 minute until smooth. Here is a simply display of what I use. Why Chia Seeds? These tiny seeds actually pack a powerful nutrition punch to your smoothies. I have also read they help make your smoothies extra thick and help you feel fuller for longer. My tip to have these in your smoothies is to make sure you blend it for at least 1 minute so they break down versus getting tiny seeds in your teeth. I started adding ginger to my juices and YUM! It may seem pricey to buy all of this produce at once. But I broke it down and really if I do a 2-3 glass container of juice, it’s a little less than $1 which is really good considering single servings of store bought juice cost more and definitely not as fresh. Stock up on in season fruits and veggies. Freeze the ones you can. If produce is not in season, check stores like Costco for bulk frozen items like strawberries and blueberries. Price match at Walmart. I realize not everyone is a fan of Walmart but if you are on a budget, this is the way to go. Take all of your ads to Walmart and price match produce to get a much better deal. Look for co-ops such as bountiful baskets. Buying produce in bulk directly from farmers overstock can be very cost effective! Check for local farmers markets. While sometimes pricey, I can often pick up a few good deals at our local farmer’s market when our produce is in season. Precut your fruits and veggies for the week into juicing sizes to save time by having to cut each time you juice. If possible, line your pulp container with a bag to make clean up a little easier. Keep your juicer out where you can always use it. I am a fan of uncluttered counters but honestly this juicer is a beast in size and I would not want to take it out every time. Keeping it out also helps me want to use it more. Make your glasses for the day. While there are mixed reviews on how long juice will last I think your safest bet is to drink your juice within 24 hours. Therefore every morning make all of your juice at once. THis way you are only juicing and cleaning once. What do you do with all that pulp? You can do many things from making fruit leather to composting it. I am going to do a roundup of recipes using pulp later this week! What are your favorite things to juice? 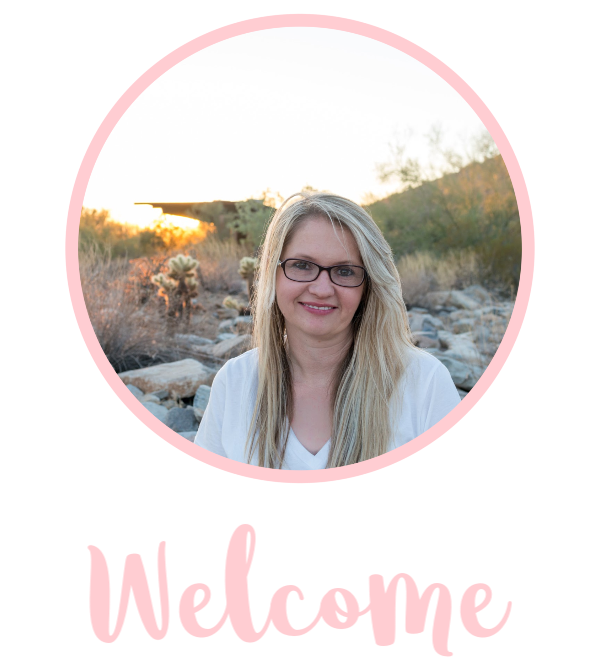 Share your recipes with me!